Landscape painting of the view, from the Port Hills in Nelson. It shows the Boulder Bank, Tasman Bay and ships in the distance, with women and men working in foreground. 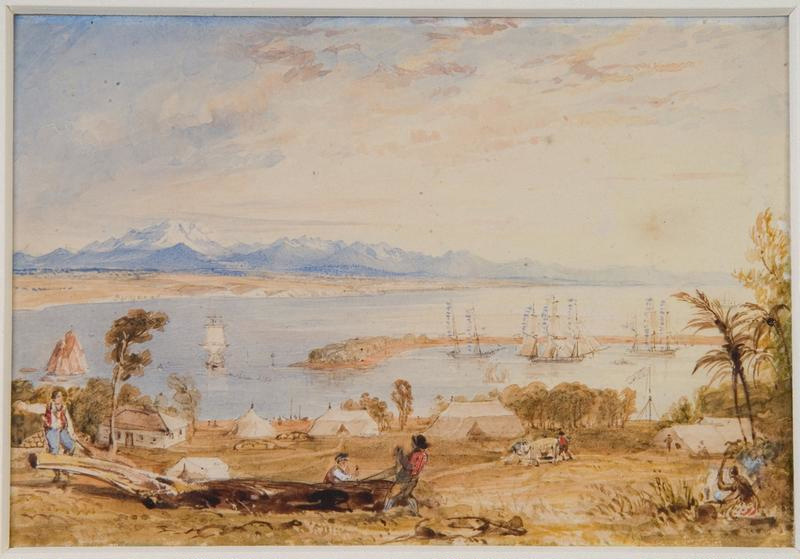 Attributed to surveyor and artist Charles Heaphy (1820-81).